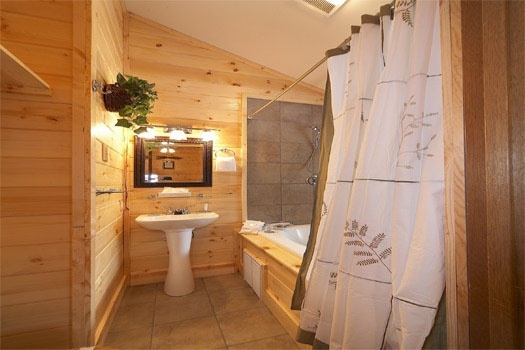 Lose yourself completely in this charming Cabin, with all the comforts of home and more. 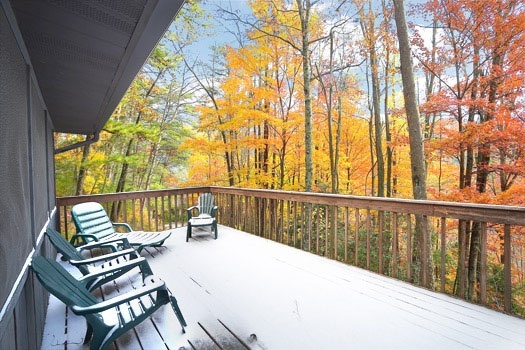 Secluded and peaceful, tucked away in a beautiful wooded setting, with two wonderful screened-in porches. What a great way to spend the evening! 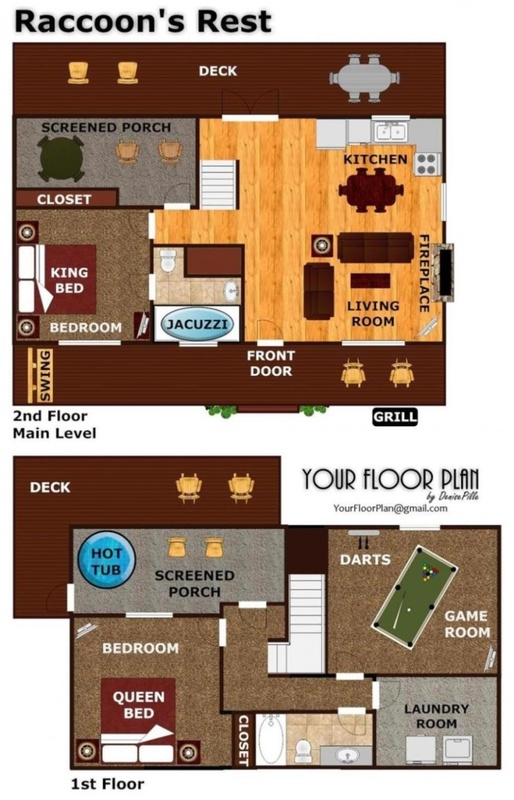 Raccoon's Rest is a great place to lose yourself; your hot tub is on the porch making it a convenient place to unwind, even on a rainy day, while the children can run free and enjoy the great outdoors! 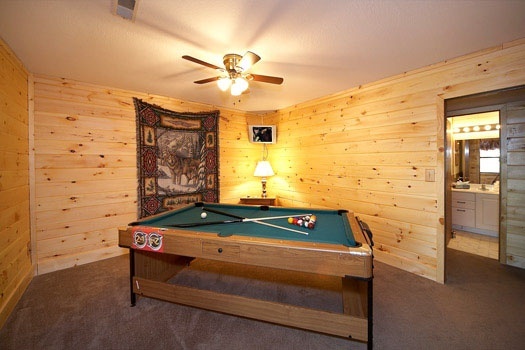 Raccoon's Rest has a great game room with a pool table and several TVs to enjoy the ballgame or your favorite movie. Your Bedroom will become a haven to relax in! 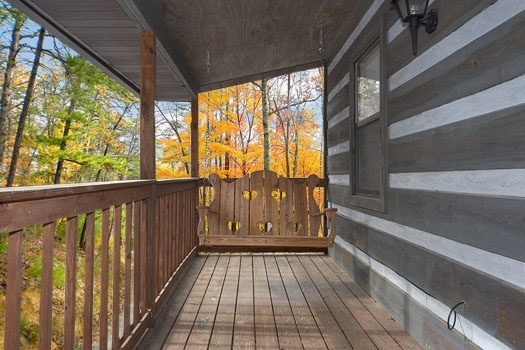 If your idea of a vacation is to get away from it all and be lost in the woods, you will make Raccoon's Rest a perfect escape for years to come! Our family had a great vacation and the place was awesome. I drove a sedan and access to cabin was pretty good with the map provided since GPS didnt work. In addition we saw a family of bears in front of our cabin which was fun. We really enjoyed our stay. Your customer service person was very helpful. Customer service went far and beyond to find us a cabin. The one we reserved was not accessible due to recent snow fall. Our rep was Paceli (I hope that's right)!! She was awesome. Cabin was nice!! It was a little nerve racking going up with snow and icestill on uphill road. We made it and glad we did. Had awesome time and will use Patriot again. We did have slight trouble finding the cabin because the road signs had been taken bit other than that it was a wonderful weekend full of happiness and relaxation. Had visits from a mother bear and her 4cubs my daughter enjoyed so much and got great photos made her trip so special she needed that...Thank you. It was our first time using this company and we had a great experience. 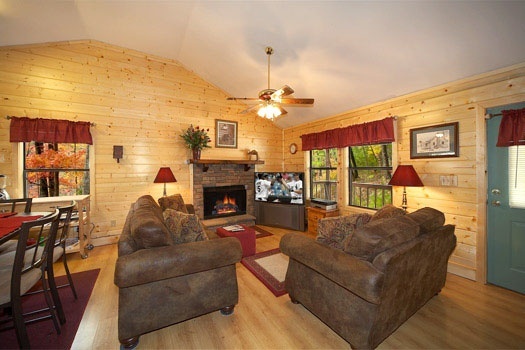 The cabin was exactly what we expected and the service from APG was excellent. We will definitely be returning soon!! We had a great time. 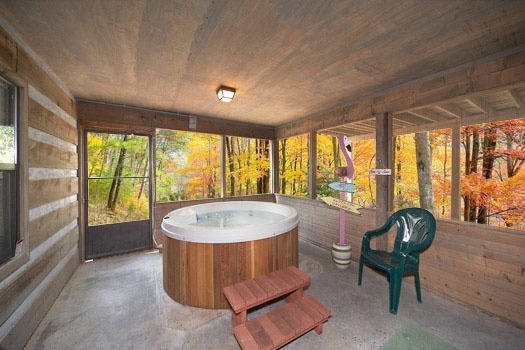 The cabin was beyond what we expected. 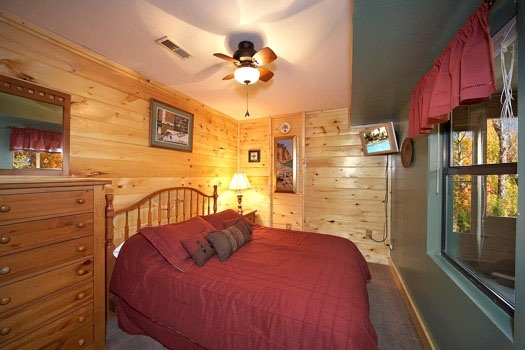 It is close to everything in pigeon forge yet it is still secluded. Excellent value. I can't say enough about it. We will definitely be using American Patriot Getaways again. See you next Summer. First time using this company. Very pleased with everything. Very easy and user friendly. Told my family about y'all, and my family is going to use Patriot Getaways also. Thank you for a wonderful stay. 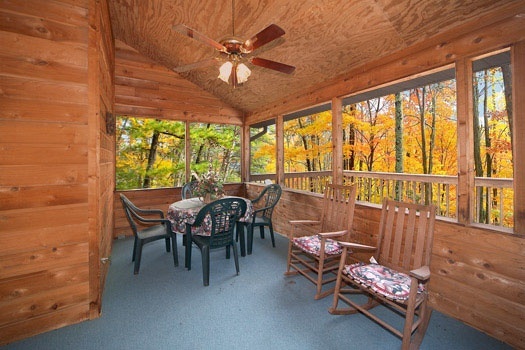 Really nice cabin / location. We enjoyed our stay! Each night at 9:30 PM we watched the fireworks from the back deck. I'm guessing they were from Dollywood. The kids loved watching them. 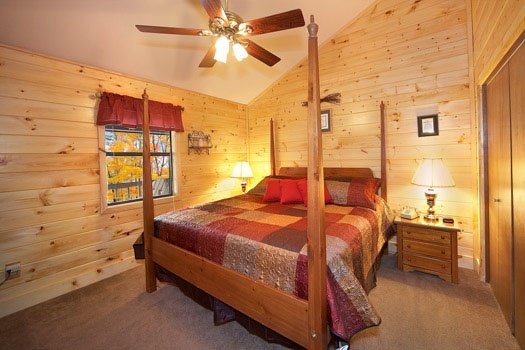 Not sure if this occurs daily but if so you could use this to assist in advertising the cabin.We booked this cabin last minute and actually called about booking another cabin but was informed about this cabin by your staff and the better deal it provided. This is the second time staying with APG and both times the experience was great. Thank you and keep up the great work.FYI: The back deck (main level) and both grills could use a good cleaning. 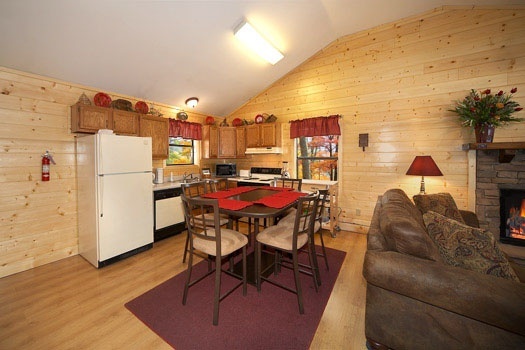 very quaint cabin. loved all the decorations and personal touches! Had a wonderful stay, close to places I wanted to visit. Mainly just wanted to rest. 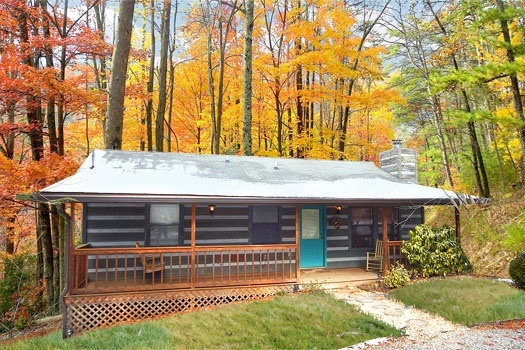 Next time I plan on taking a break I will definitely check out this cabin first. We loved everything about Raccoons Rest. It was our first time to Tennessee and it was well worth the trip. We will definitely be visiting again. 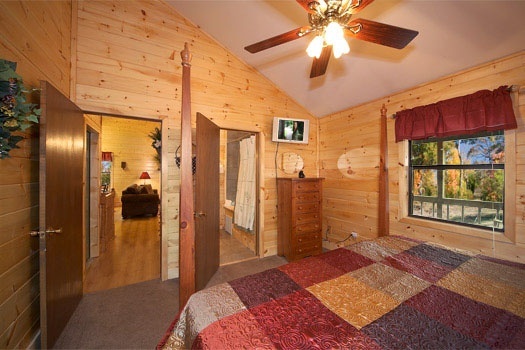 The cabin was very clean, well stocked, secluded,and well located. It was perfect for us. Thanks for a great stay.